Availability: Unavailable This product is no longer for sale in our Mikvah Mall. Translation to English of Bayit Meushar (Hebrew). This book is suitable for every household . Even in a home where domestic harmony reigns, there is always room for improvement and a chance to enrich the situation even further - because goodness has no limits. The Rebbe's suggestions for domestic peace and harmony that are featured here are responses to real-lie situations, to people who have asked his advice regarding various dilemmas and hardships that they have encountered. 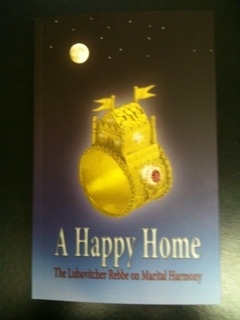 Written by Rabbi Ze'ev Ritterman, author of Ohr Habayis in Hebrew and Mikveh in English. Softcover.